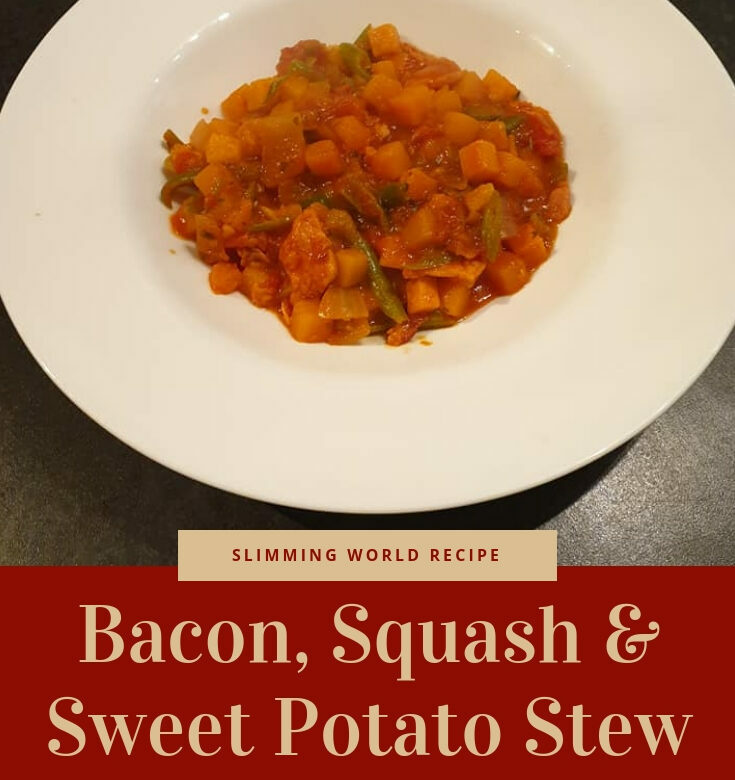 This bacon, squash and sweet potato stew is a dish I have to make when the children aren’t eating. They’re not keen on squash or sweet potato. The only thing I don’t like about squash is having to prepare it! Spray a large saucepan with low-calorie cooking spray and place over a high heat, add the bacon, onion, squash, sweet potato and garlic and stir-fry for 1-2 minutes. Add the chopped tomatoes, dried herbs, tomato purée and stock. Bring to the boil, cover and cook over a medium heat for 8-10 minutes. Stir in the green beans and cook for a further 8 minutes or until piping hot. Remove from the heat and ladle into warmed bowls to serve.